Set up regular reviews for your company, team, or yourself to increase self-awareness and develop skills. A lightweight, simple solution for 360-degree feedback. Launch your survey today or plan it for another day. It only takes a few minutes. Reviewers can be selected by participants, the organizer, or automatically. Track employee skills and development in the long term. 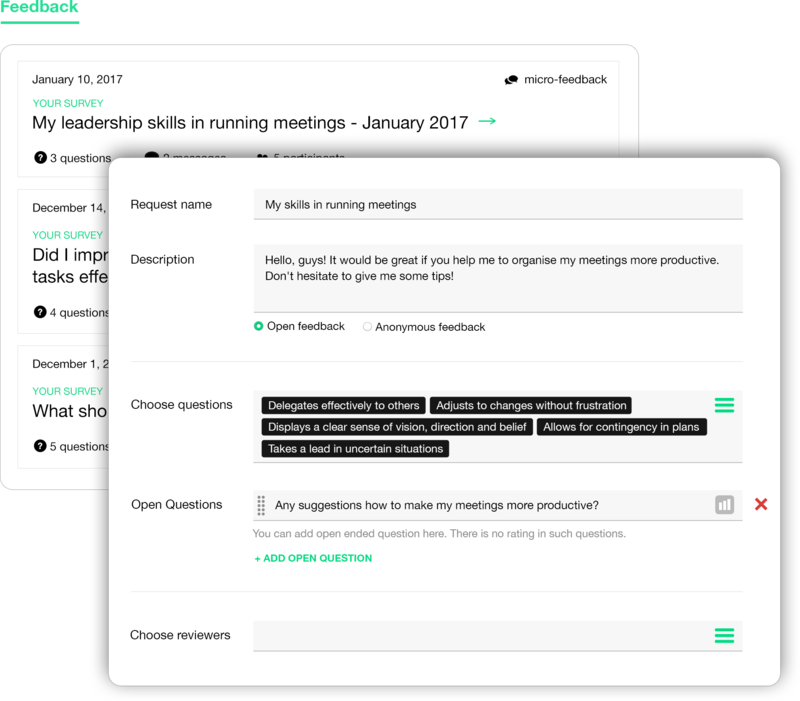 Aiday helps employees give and receive feedback effectively to improve skills. Employees can create personal development goals, track their progress and receive meaningful feedback on these goals. Create 360-degree surveys that look awesome on any device. You can create one survey in many different languages. We take security and privacy seriously at Aiday. We don't share customer data with anyone, whatsoever. We would be happy to help you organize your reviews with Aiday.